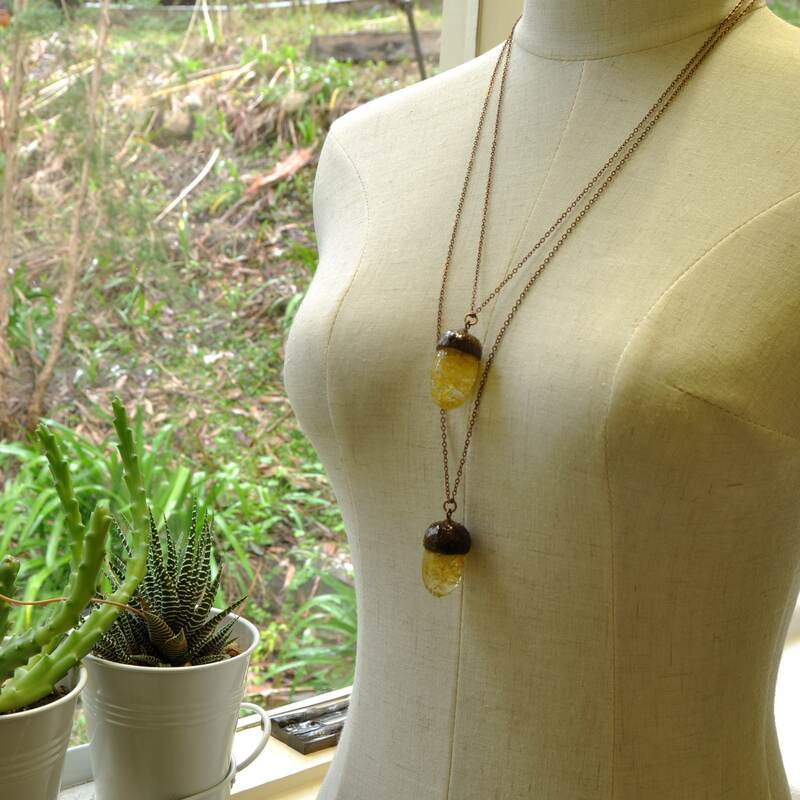 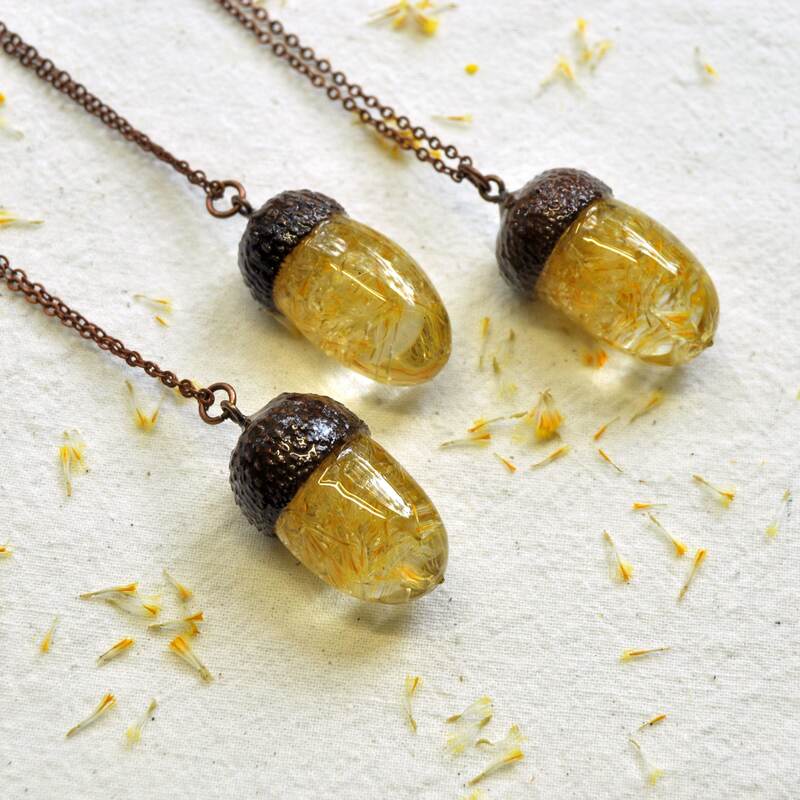 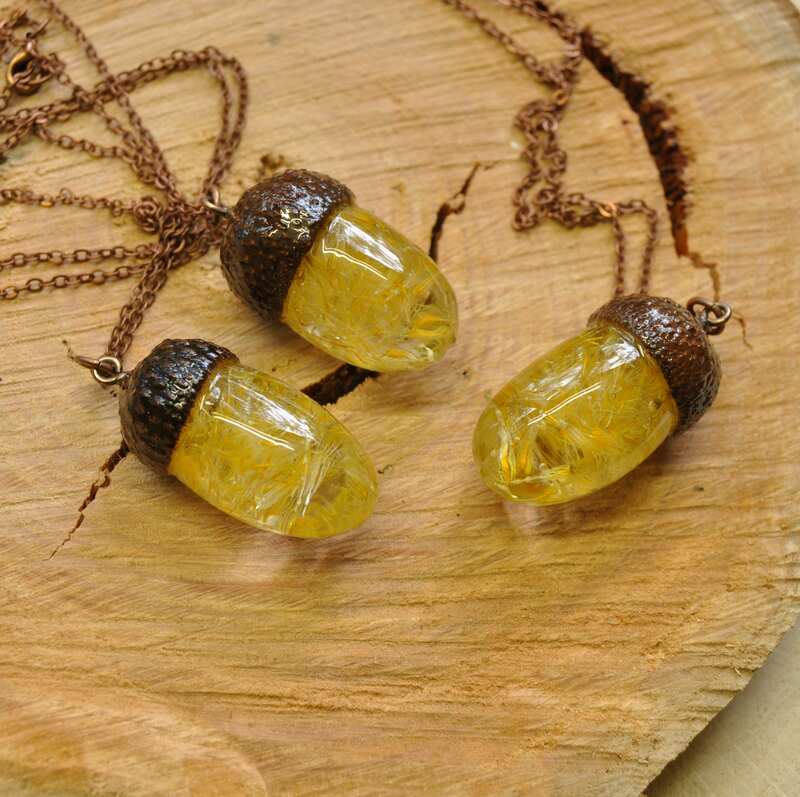 These glossy acorn necklaces are perfect for the Autumn! 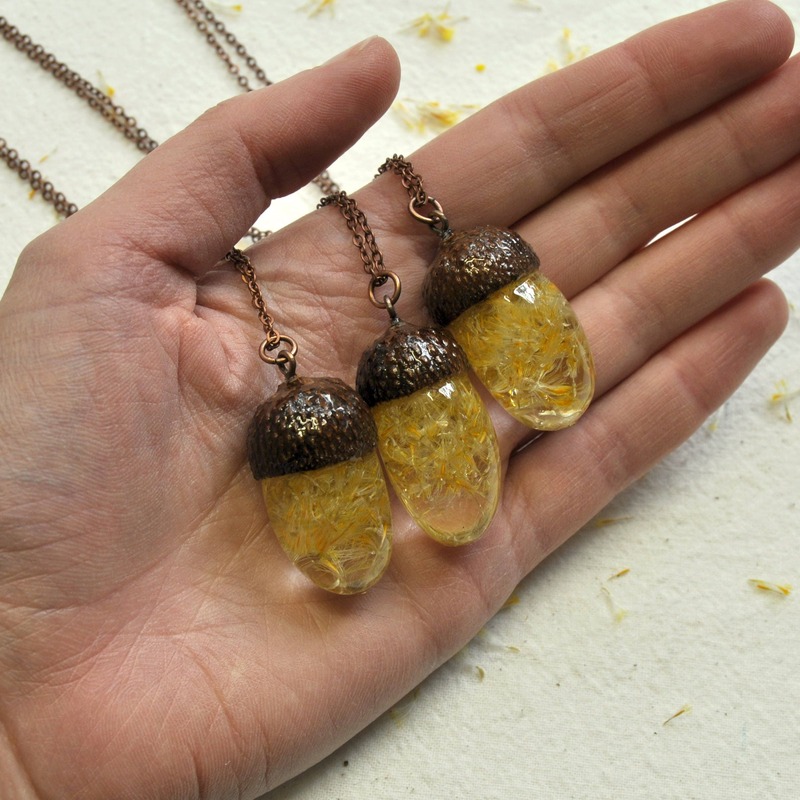 Each pendant has been hand crafted from start to finish. 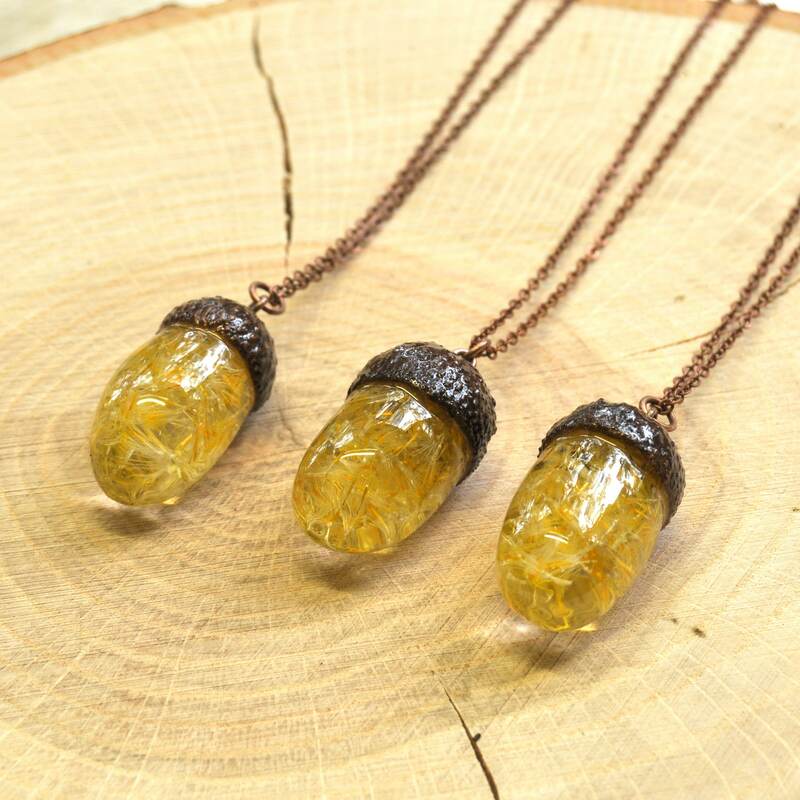 Beginning with making moulds from real acorns, I then cast each acorn replica in eco-resin, and embedded real yellow daisy seeds inside. 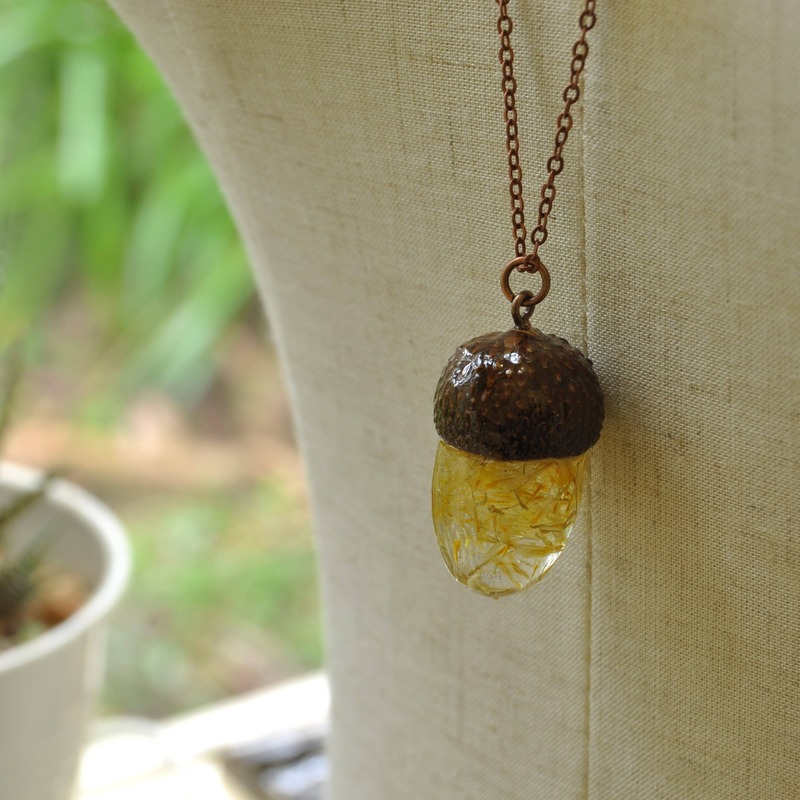 The pendant was then finished with a real acorn cap and copper elements.